IREQ's scientific breakthroughs, inventions and research work have earned it a solid reputation both nationally and internationally. Since IREQ was founded, our employees have obtained some 850 patents and published thousands of articles. See how we have put our expertise to work for Hydro-Québec for close to 50 years. See the complete list of our innovations or specify an area of expertise or innovation. The purpose of the AUPALE project is to assess the feasibility of increasing the maximum capacity of certain targeted generators without compromising their service life. High-voltage circuit breakers are essential for the protection and proper operation of a power grid. To check their condition and detect any sign of imminent failure, IREQ has developed a new diagnostic method that consists of measuring the dynamic resistance of HV circuit breakers to assess wear in main contacts and arcing contacts simultaneously. 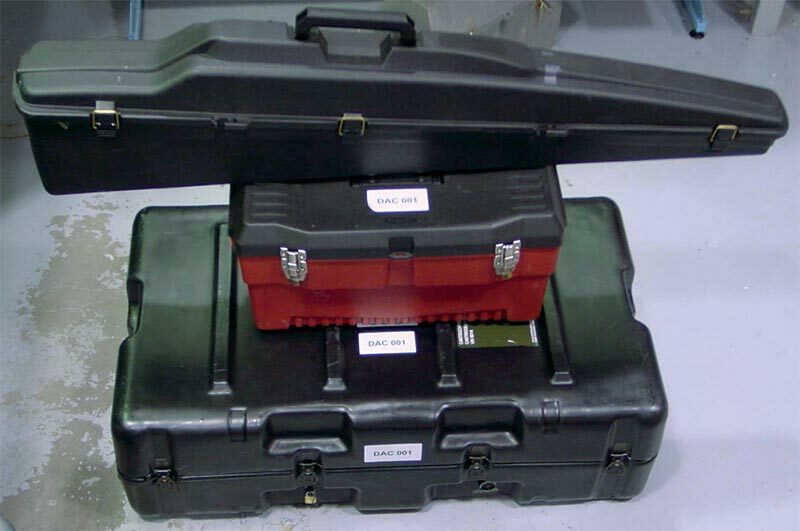 The kit's originality lies in its ability to provide a reliable diagnostic of the condition of circuit breaker contacts without the need to open the interrupting chamber. 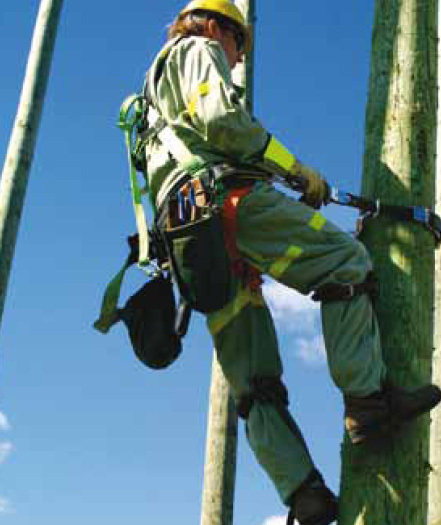 This simple safety device facilitates the line worker's job when moving up and down a pole. 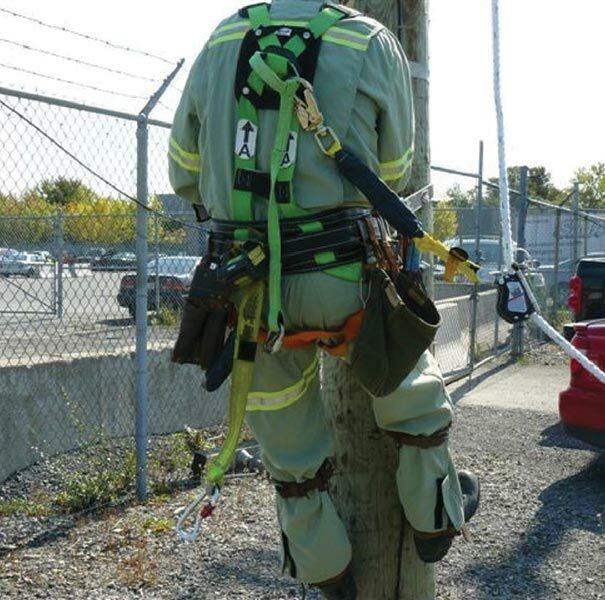 The hook is permanently attached to the lifeline by a lanyard and a rope grab so workers can climb poles and clear obstacles without having to constantly detach and re-attach themselves. This support tool for condition-based maintenance helps better target maintenance jobs by providing a more precise assessment of generator condition and the causes of degradation. 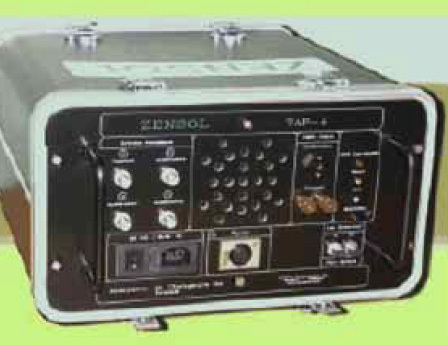 This system is used to locate transient faults, measure power quality and collect other types of information to better target maintenance work. This new maintenance approach is now being tested on seven distribution lines. It is part of Hydro-Québec's efforts to improve the quality and continuity of electrical services. This leading-edge system enables the monitoring of the electrical and mechanical condition of power grid circuit breakers and the quick detection of anomalies, thus ensuring grid reliability, availability and security. 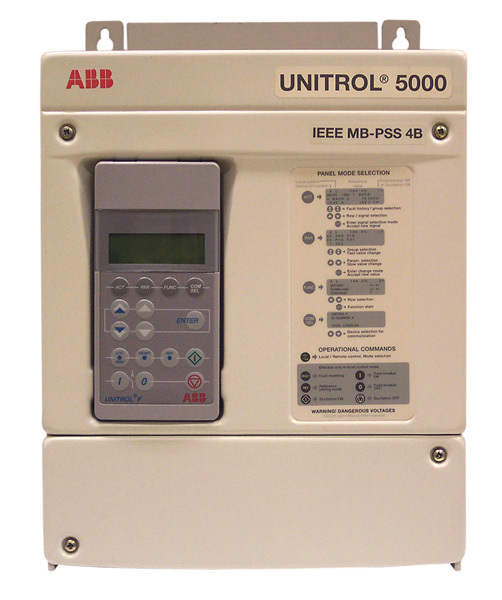 This device accurately controls the timing of circuit breaker opening and closing to minimize the resulting current and voltage transients. It avoids the use of switching resistors, thus eliminating auxiliary chamber maintenance costs. It also improves power quality and reduces stress on breaker contacts. This tool determines the appropriate instant to energize the power transformer based on remnant flux and other parameters. 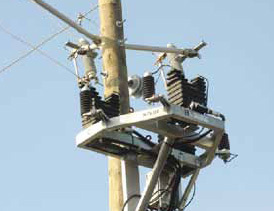 Reducing the risk that a transformer being energized becomes saturated, prevents excessive currents, grid disturbances, and premature deterioration of equipment. 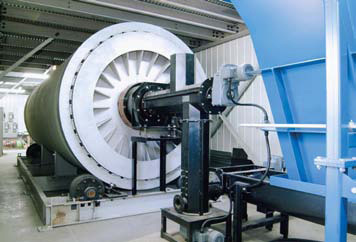 Arc furnaces generate wide fluctuations in power which cause disturbances on power systems. 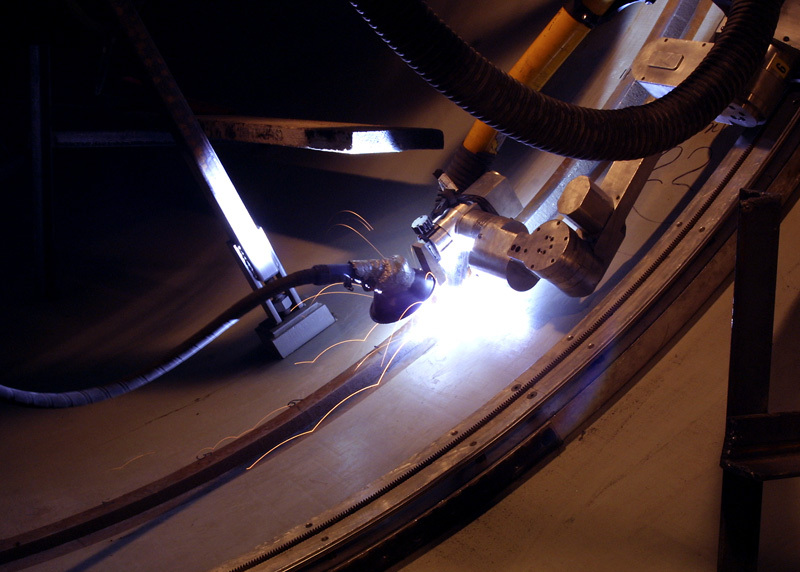 The arc conditioner is a practical, cost-effective solution to problems stemming from intensive use of arc furnaces. 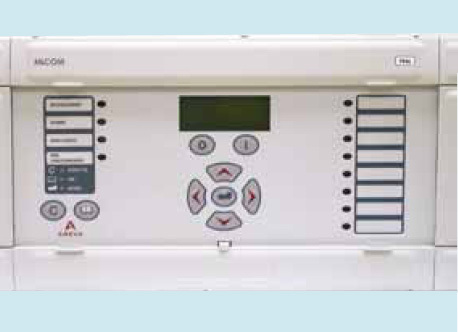 The device helps the furnace run smoothly by stabilizing its electric arcs. 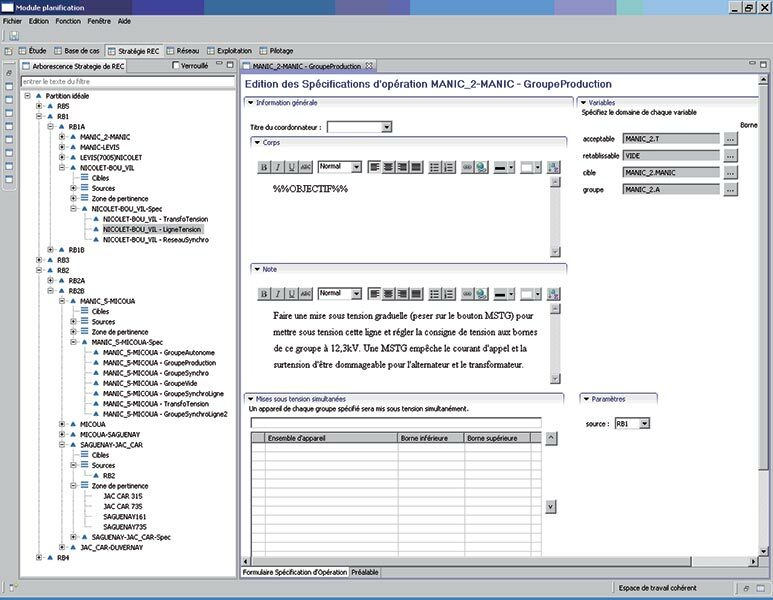 This tool was designed to help Hydro-Québec representatives such as account managers and sales engineers in their efforts to promote energy efficiency among industrial customers. 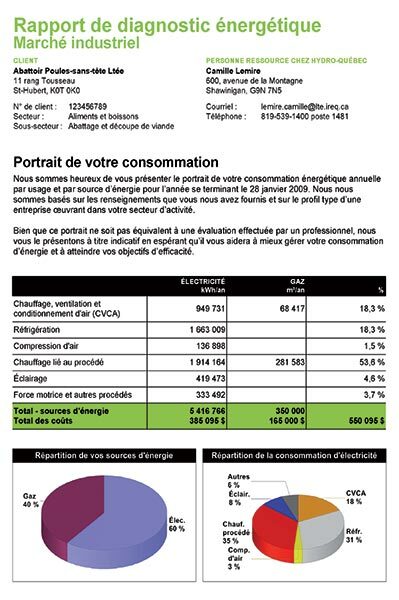 It offers such customers a way to obtain their consumption profile and avenues for improving their energy performance. This process involves the incineration of organic sludge derived from pulp and paper, agriculture and wastewater treatment, through the use of an atmospheric-pressure rotary kiln equipped with a plasma torch. More energy-efficient than the regular process, PASO eliminates 95% of the volume processed while allowing 5% of the residue to be reused. 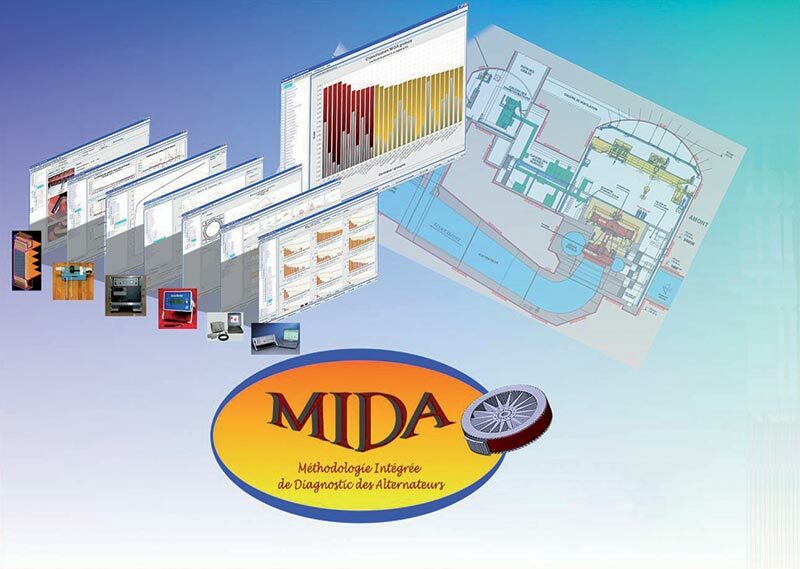 This software program simulates the energy consumption of commercial and institutional buildings, thus enabling users to estimate and improve the energy savings resulting from planned efficiency measures. 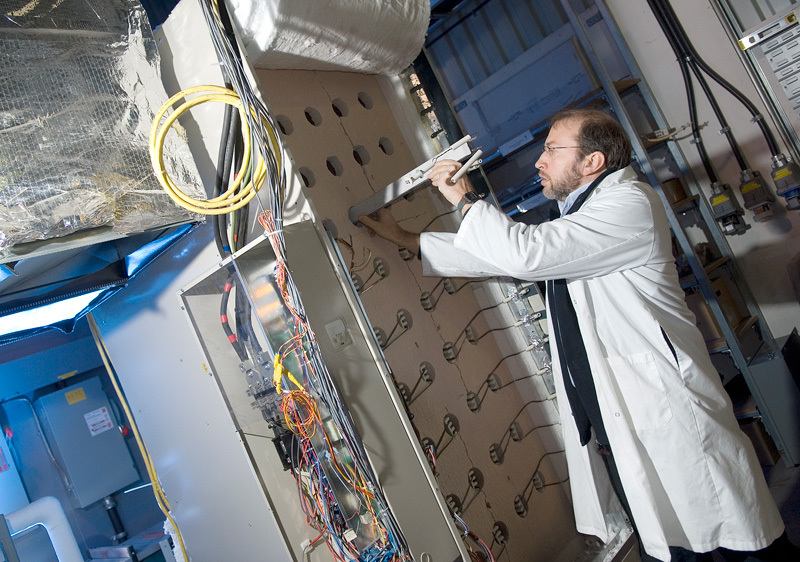 A team at IREQ, Hydro-Québec's research institute, has been working to find ways to reclaim thermal waste in order to produce heat, electricity or cooling so small and medium-sized industrial companies in Québec can reduce their energy consumption. This thermal storage unit is an electric heating system that uses off-peak power to store large amounts of heat and then release it during peak periods without further power demand. Thanks to this system, customers save on their bills, and the utility reduces peak demand. 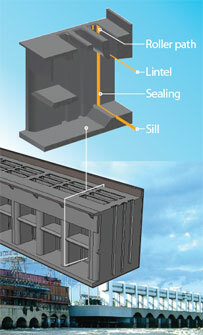 It can be used to heat buildings and water, as well preheat fresh air from ventilation. Electric thermal storage is an effective technique for substantially reducing a customer's heating bill. This technology is new on the market and is growing in popularity among commercial, institutional and industrial customers. Researchers at IREQ are contributing to the development of all-electric and plug-in hybrid vehicles. 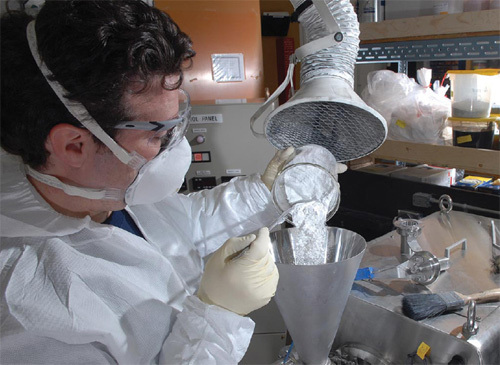 They are conducting extensive work on advanced materials, particularly molten salts, lithium iron phosphate and nanotitanates. Their contribution is helping to develop safe, high-performance lithium-ion batteries that can be charged more quickly and a greater number of times. The future success of plug-in vehicles largely depends on the battery. Innovation efforts cover both high-power batteries and high-energy batteries. Sony, Merck, BASF, Phostech, PHET and Solvionic are among the companies using these materials in the manufacturing of their batteries or powders. This polymer additive is injected into poles treated with chromated copper arsenate (CCA) in order to make the wood softer and facilitate the jobs of line workers. 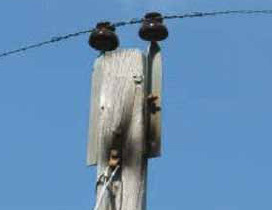 Before the use of this innovation, line workers had a hard time climbing poles treated with CCA. The wood preservative does not contain any oil and is odorless, providing an ecological solution to the problem of pole hardness. 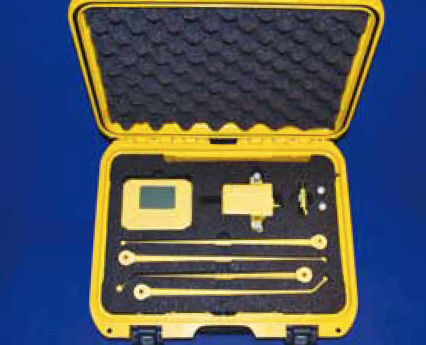 This tool performs diagnostic tests on high-voltage circuit breakers using a new vibration analysis technique developed by IREQ. 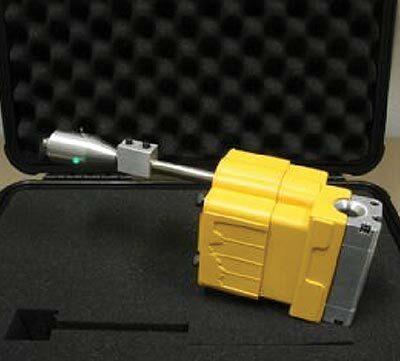 Thanks to this tool, mechanical anomalies can be detected in the circuit breaker drive mechanism and in other moving parts of the interrupting chamber. The GMON (for gamma monitoring) sensor precisely measures snow water equivalent. Since meltwater can account for 25 to 40% of the natural inflow of water to generating stations, it is important to precisely measure it. This tool facilitates the management of hydropower generation by improving the forecasting of spring runoff. 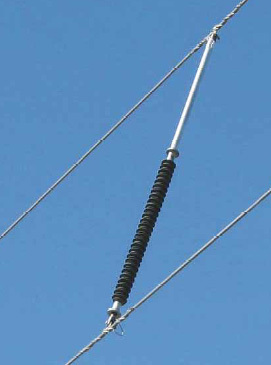 Aeolian vibrations are a fatigue factor for overhead wires, especially under extremely cold conditions. 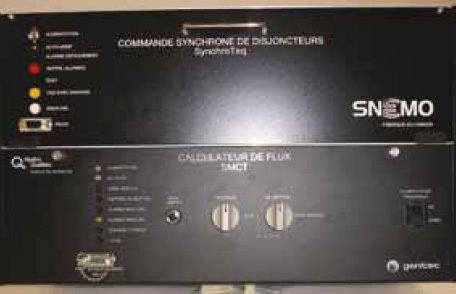 This device precisely measures and records the frequency and magnitude of each vibration. If cracks occur in the shed of a cap and pin insulator, they may lead to damage and power failure. Cracks are difficult to see from the ground or without a costly de-energizing of the line. To overcome this problem, IREQ has developed a vibro-acoustic device called the Porcelain Acoustic Probe that acts as a cracked-insulator detector. This system enables Hydro-Québec to ensure coordination and follow-up in the event of a blackout. The main interest of RECRÉ is that it groups together all the processes involved in system restoration: planning, training and operations. 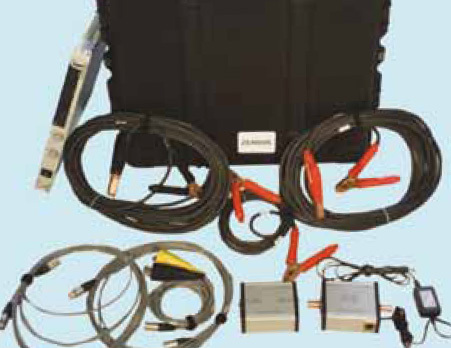 This system helps locate damage along underground lines and at cable joints on them. Partial discharges (PDs) in an underground power system are the sign of a problem, which may cause a short circuit. 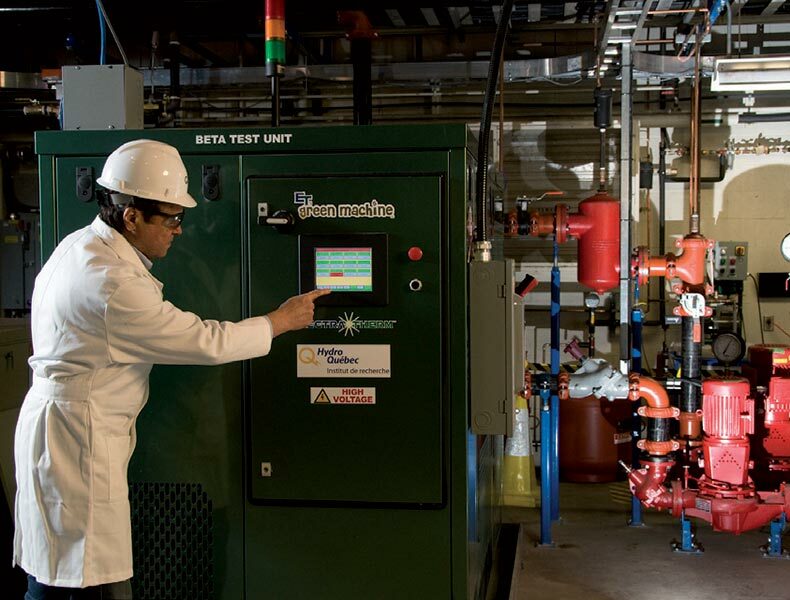 To ensure worker safety during jobs in underground chambers, IREQ developed the Sniffer, a diagnostic tool that checks for PDs in the equipment of the underground distribution system. An on-load tap changer adjusts the voltage ratio of a transformer with no interruption in supply. The tap-changer is the part of the transformer that is subject to the greatest stress and it is at the origin of 40% of transformer failures. 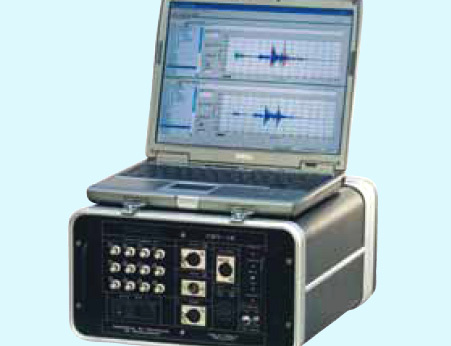 The TAP-4 analyzer measures acoustic vibrations to detect most OLTC operating problems. Gas formation in the insulating oil of a power transformer is generally the sign of a problem. 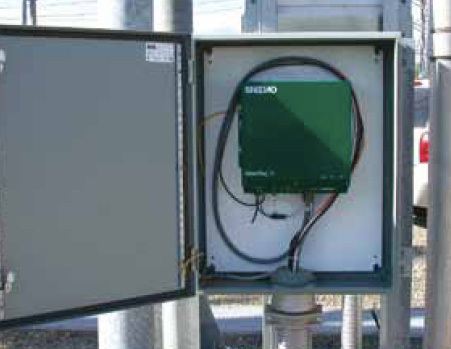 To protect these critical transformers, IREQ has developed an effective technique for locating gas-generating partial discharges and hot spots. The AE-150 detects the ultrasonic waves emitted by these partial discharges and hot spots, thus providing information on the nature of the power transformers' faults and problems. 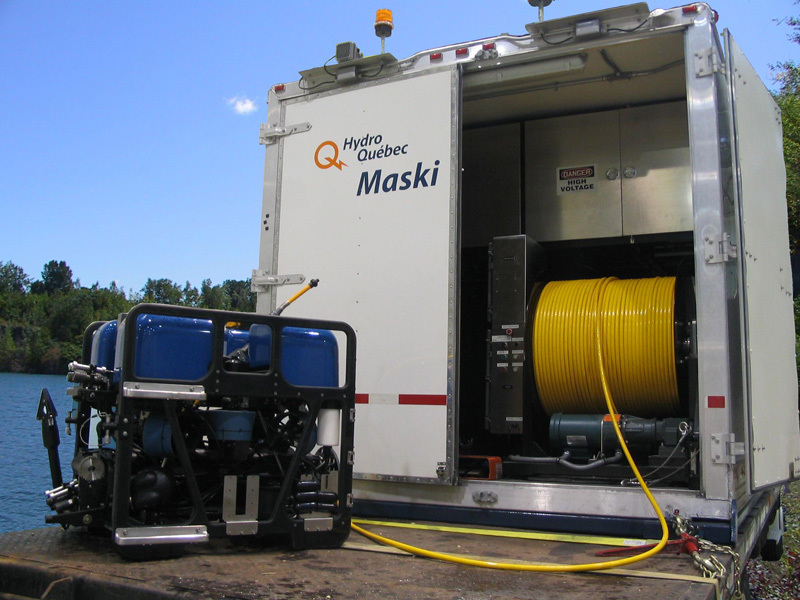 This de-icing device can be used for emergency work on Hydro-Québec transmission lines. The DAC is a portable, remote-controlled device generating a mechanical impulse that propagates along the conductor or ground wire span, breaking the ice instantly. 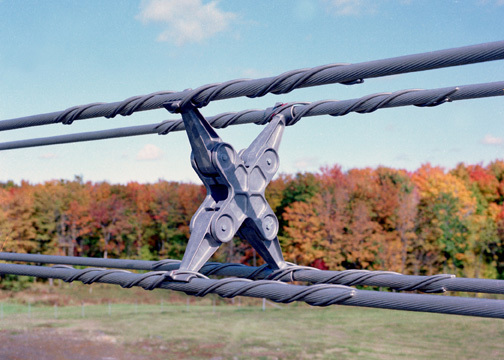 This tool is effective at preventing the galloping phenomenon in transmission and distribution lines. In the presence of ice or wet snow, especially when precipitations accumulate on conductors, the shape of these conductors may change. They then become unstable and can gallop in the wind, moving close enough to one another to cause short circuits and power failures. Over 3,000 Hydro-Quebec interphase spacers are now in service both on the company's power grid and on other grids worldwide. 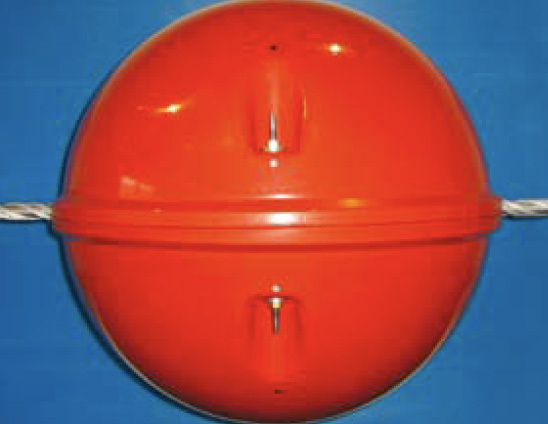 This device, when attached to a conductor, attenuates aeolian vibrations. 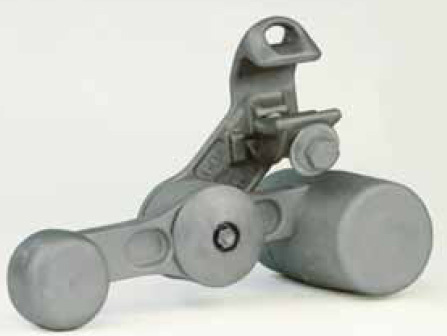 Combining two joints in one, this innovation reduces the damper's unsuspended weight and cost, while making it more compact. More than 25,000 Hydro-Québec vibration dampers are installed on lines belonging to the company and to other utilities worldwide. 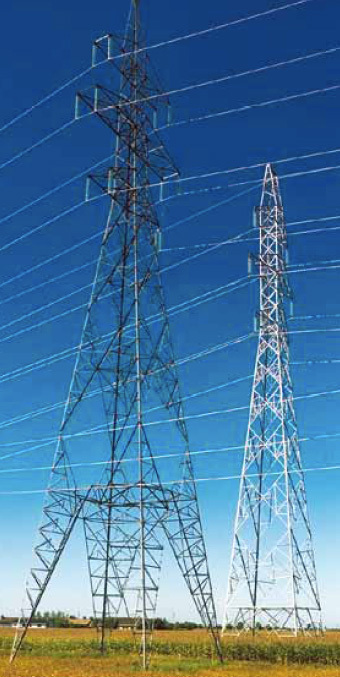 Wind-induced oscillations and vibrations on power lines can compromise the reliability of the transmission system. This device is designed to reduce conductor vibrations and ensure that the spacing between sub-conductors of a bundle stays constant. More than 800,000 of these spacer-dampers have been installed on lines belonging to Hydro-Québec and to other utilities world-wide. 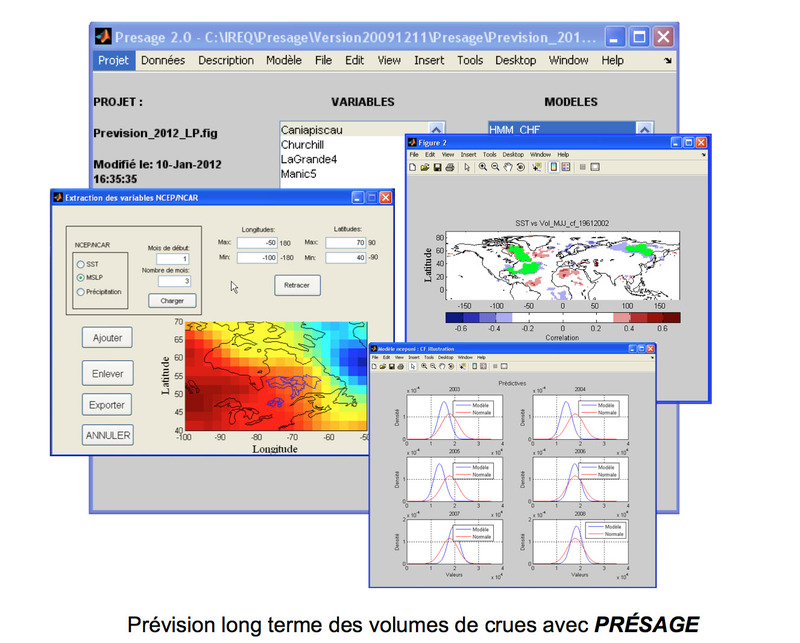 Présage is a tool that supports long-range hydrological forecasting. 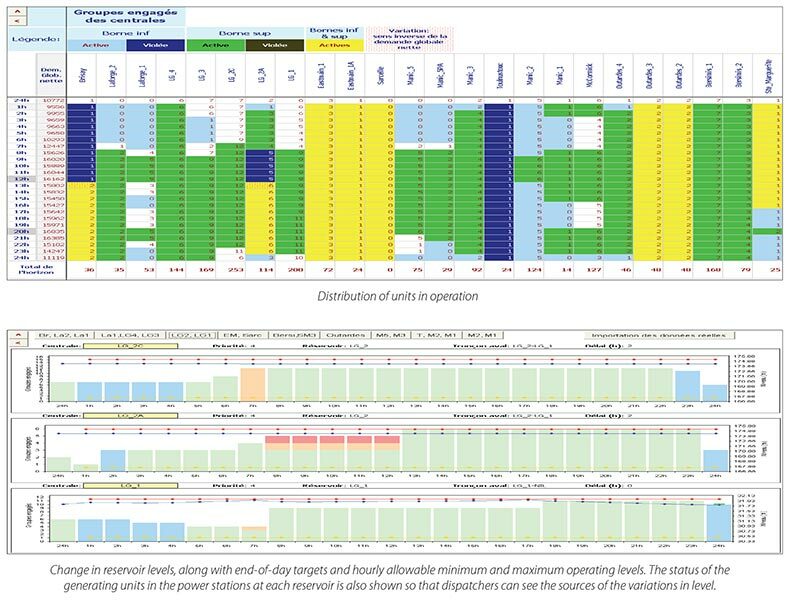 It was designed primarily for statistical analyses in order to study relations between runoff and various hydrometeorological variables and to build different types of probabilistic models for long-range (3 months or more) forecasting of runoff. The project's main objective is to develop statistical tools for improving long-term forecasting of natural inflows for major water systems (ones with more than 90 watersheds) on a daily basis. Better estimates of runoff provide for optimal use of water resources. On a daily basis, Hydro-Québec produces runoff forecasts that make it possible to periodically estimate future water conditions. Hydro-Québec's research institute has developed a system for evaluating the reliability of the company's hydrological forecasts, which is geared to the probabilistic forecasts produced daily by Hydro-Québec. The system is supported by a set of graphic and numerical diagnostic tools. This system is based on a method that involves injecting compressed air into the cable core and then seeing how the pressure changes over time. A break in the insulation, specifically a leak, is thus detected by the drop in air pressure inside the cable. This durable type of marker has a sturdy attachment mechanism to protect the conductor, optical ground wire or conventional ground wire to which it is fastened. Over 1,000 of these markers have been installed on Hydro-Québec power lines, and continue to demonstrate their effectiveness. 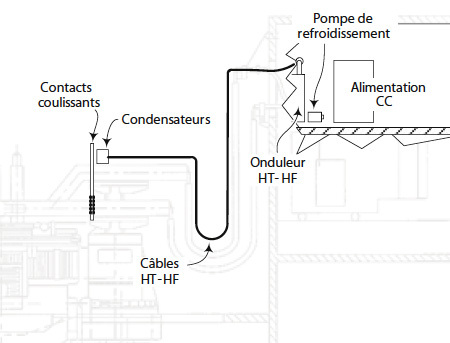 Hydro-Québec wants to improve the energy efficiency on its distribution system through conservation voltage regulation and reactive power control, a combined method known as “CATVAR”. The CATVAR project, which is slated for 2010–2015, is designed to improve the system's energy performance through closer voltage regulation on certain lines. It could generate close to 2 TWh in energy savings by 2015. The reliability of the transmission system depends on its robust power equipment and high-performance protection systems. These special protection systems (SPSs) react at the thousandth of a second to preserve the stability of the transmission system and avoid serious damage to equipment. 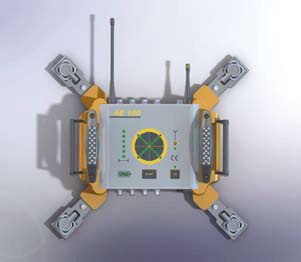 The Open-Line Detector determines the state of the transmission system by detecting its topology. It provides information that is crucial for the proper functioning of SPSs such as the generation rejection and remote load shedding (RPTC) and permanent system separation control (SPSR) systems. Frequency oscillations that occur on a transmission system can hinder its stability and reduce transmission limits. The fruit of a joined R&D project (Hydro and ABB), the MB-PSS dampens oscillation modes more effectively than conventional stabilizers. 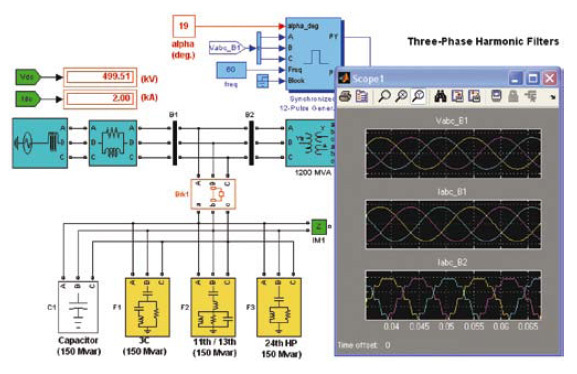 This application makes it possible to simulate short-term dispatching of generation output by presenting a model of the transmission system for purposes of balancing generation and load. The Power System Blockset (original name) was created with our partners in 1995. 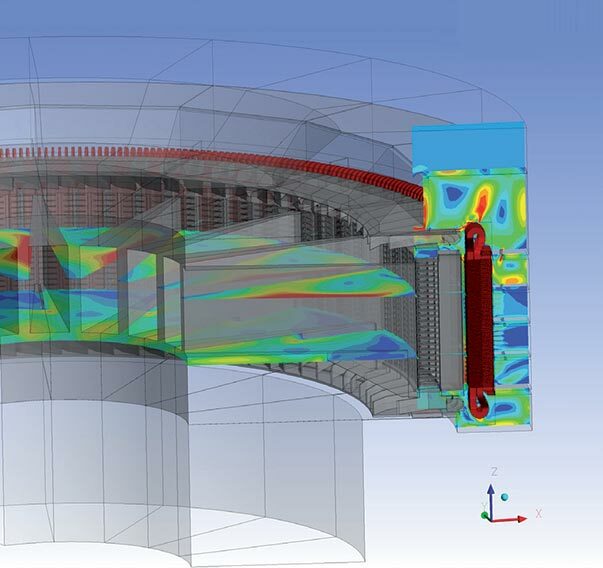 This exceptionally user-friendly power system modeling and simulation software is used by power systems operators, manufacturers, research centers and universities. Its popularity confirms IREQ's expertise in the area of power system simulation tools, as well as the Institute's ability to develop products which meet not only Hydro-Québec's needs, but those of a vast market. 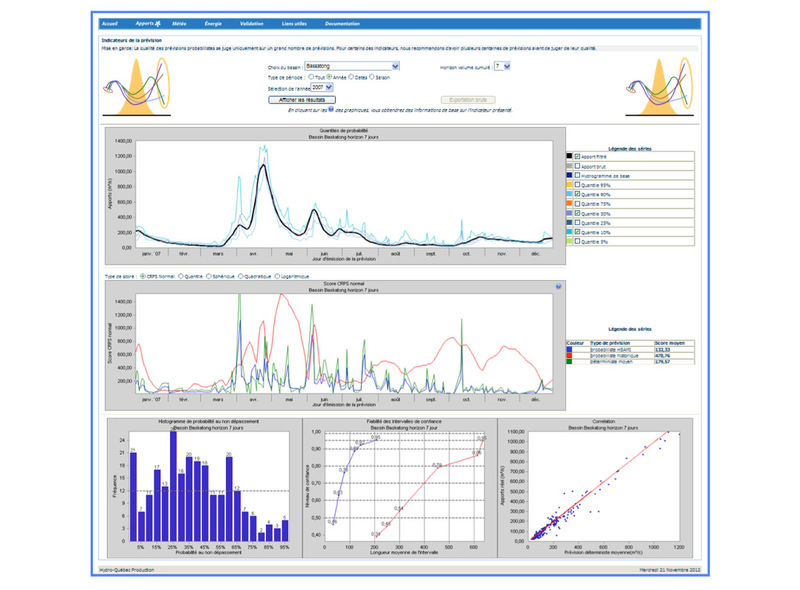 This tool enables a utility to optimize its power system operations by evaluating impacts on a large number of variables, including import and export opportunities, the number of generating unit startups and shutdowns, the number of automatic shunt reactor switching operations and reserve requirements for frequency control. 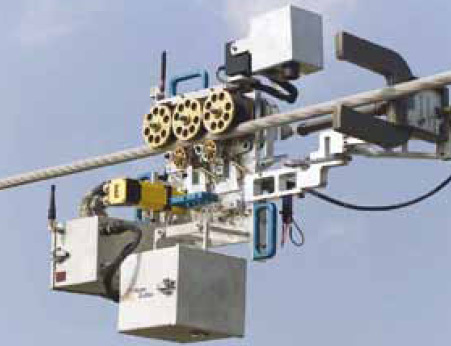 Initially, this robot was developed for de-icing ground wires and conductors. 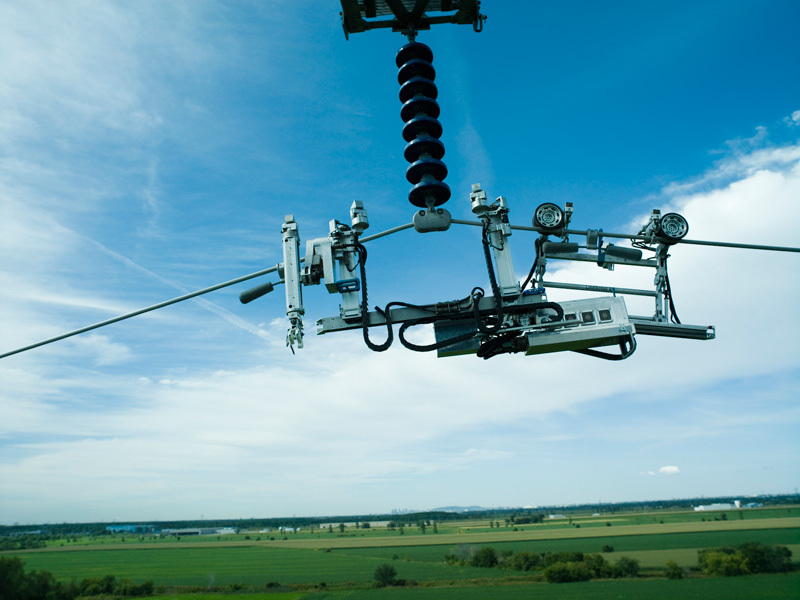 It is also used to perform a variety of tasks on transmission lines of up to 315 kV, like the visual inspection of conductors and line hardware. See all the advantages of the LineROVer robot. Inspecting lines regularly to check their condition and detect anomalies is a priority for Hydro-Québec. To perform these checks, the Transmission crew relies on LineScout, a high-tech robot that can conduct detailed inspections safely and without compromising grid operation. The robot can cross a range of obstacles, including insulator strings, vibration dampers and grading rings. See all the advantages of the LineScout robot. The long-term safety and service life of Hydro-Québec's dams relies on a rigorous inspection program. Divers may have to inspect submerged structures in sometimes difficult conditions, such as strong currents or zero visibility. This robot is a key member of the team, making inspections safer and quicker, which helps reduce generating unit down time. This robotic unit modernizes work methods and improves the system average interruption duration index. It has a hydraulic arm with an electric manipulator and is equipped with special tools for performing automated tasks on power system equipment. This robot makes it possible for workers to safely de-ice equipment that is energized (at up to 330 kV). 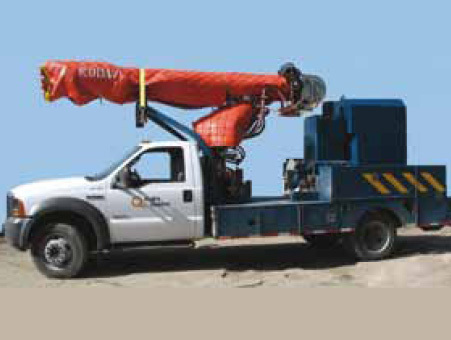 It can be used to de-ice any type of equipment including insulating columns, transformers and wood poles. This small and portable robot weighs a mere 30 kg. It can move on geometrically complex surfaces and access hard-to-reach areas to perform such tasks as welding, gouging, grinding and hammering. 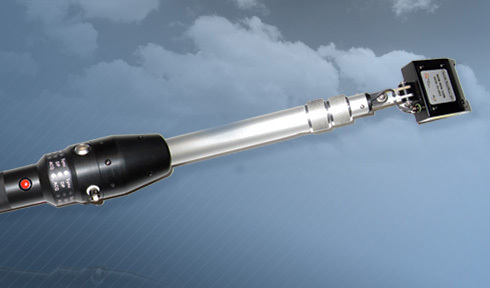 It is a leading-edge tool for repairing and maintaining turbine runners without having to dismantle the generating units. 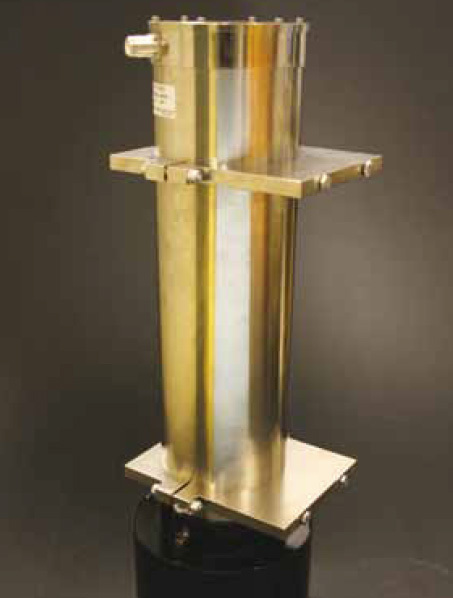 The WireScan performs above and underwater geometrical surveys of hydraulic gate guides. Its laser technology provides an on-site 3D reconstruction of the environment. Thanks to its compact design, the WireScan is easily deployed. 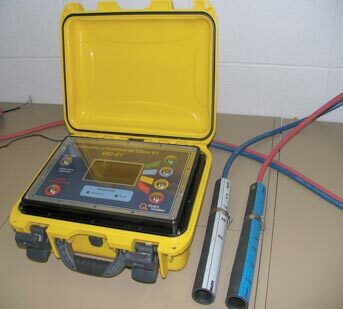 Its accurate surveys provide essential data for hydraulic gate diagnosis.